I’ve been busy lately. Elian and I went to Nashville last weekend to visit some friends and attend a most exciting Georgia football game. And this week Lexi has been on Fall Break from preschool. Which means she thought it’d be a good time to get pneumonia. All that to say I haven’t had time to think about blogging. And what I really mean by that is that I haven’t made time to think about God. Because when I do, He usually speaks to me, giving me things to think, and, subsequently, write about. But yesterday I managed to spend 20 minutes in Exodus, and, during that time, I also managed to discover the meaning of life. I really can’t take all the credit. All I did was read the Bible. God and Moses and Pharaoh had something to do with it. And those folks at Zondervan who published my Bible. 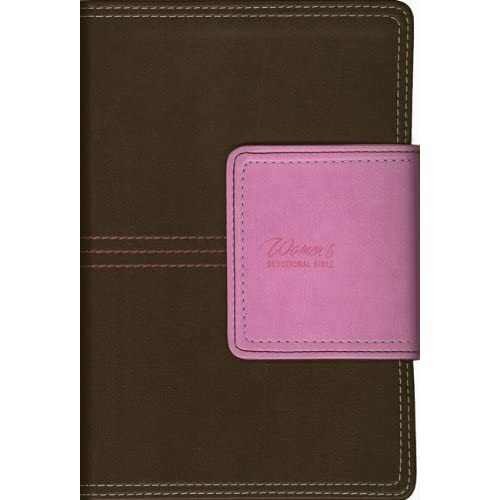 They are the masterminds who gave it this cute brown and pink leather cover with a magnetic closure that took my breath away the instant I saw it. I had to have it. Which is why Elian “bought it for me” for Valentine’s Day many moons ago. In Exodus 9 the Egyptians are experiencing some awful plagues because their leader, Pharaoh, wouldn’t allow his slaves, the Israelites, to take a three-day weekend to go worship God in the desert, per Moses and Aaron’s request. Did you catch it? The meaning of life? Like Pharaoh, we are here for a two-fold purpose – so God can show us His power and to be agents through which God’s name is proclaimed in all the earth. First of all, how humbled do I feel that God wants to show me His power? Little ole me… Disappointing me… Unimportant me… If nothing else, this verse testifies to the personal nature of God. He cares about each and every one of us. He is not some distant God who doesn’t concern Himself with His creation, like the deists believe. He is involved, wanting to show us His power in a personal way. Why does God want to show us His power? Maybe so we will know, from our own experience, that He is God, that He is worthy to be praised, and that having a relationship with Him is worth whatever it may cost us. God is trying to show you His power. Are you looking for it? The second fold of our two-fold purpose is that God wants to involve us some way in proclaiming His name through all the earth. I think He can use us directly and indirectly to do this. If we are recognizing His power in our lives, we will naturally proclaim Him to those around us. We won’t be able to help ourselves. We will speak of His goodness and his holiness, and He will be proclaimed. But should we fail to proclaim Him, as we are wont to do from time to time, He can still proclaim His name through us to those around us. Onlookers can often see how God is working in our lives when we can’t, and they can proclaim His goodness even if we don’t. How is God inviting you to celebrate what He is doing in your life or in the lives of those around you? Recognize His power, and proclaim His name. This is the meaning of life. The Church is just a bunch of Christians, so I reasoned the answer should be the same: a Christian’s purpose and the Church’s purpose is to know God and to make Him known. Eight weeks later I’ve realized that, while my answer is technically correct, it’s slightly too vague. It’s too vague for our churches to implement, and it’s certainly too vague for our post-modern world to realize it must be understood within biblical terms of who God is. A more specific answer is the purpose of the Church is to make disciples. Unfortunately, people have wildly varying ideas on what a disciple is. Too many Christians, even Christian leaders, confuse disciples with church-goers or self-identified Christians or people who have prayed to receive Christ as their Savior or people who have been baptized or people who know a lot of Bible stories or people who serve their communities while wearing Christian t-shirts. To be sure, all of those things are things disciples should do (although, we could stand to leave our “Serve Team” shirts at home…), but none of those things make someone a disciple in and of itself. Jesus said to the original disciples, “Go and make disciples of all nations, baptizing them in the name of the Father and of the Son and of the Holy Spirit, and teaching them to obey everything I have commanded you,” (Matthew 28:19-20). Do you see the part we usually skip? We may go, we may share the Gospel, we may baptize converts, but then, at least in the culture I’m in, we stop… we don’t follow through and teach new converts to “obey everything [Jesus has] commanded”. When our people are telling others about Christ, training them in the ways of the Bible, showing them how and challenging them to live obediently to the scriptures, we’ve made more than converts – we’ve made disciples. And the cornerstone way in which a true disciple obeys Christ is by going and making more disciples who will mature and make more disciples who will mature and make more disciples who will… you get the point. With a weak voice I have to ask, Church, are we doing that? Am I doing that? The stats show, as a whole, we aren’t. And when I look around my community – Bible Belt, USA – I see a lot of believers doing a lot of good things, but not many doing the main thing – making more disciple-makers. It’s time to stop being content with entertainment “Christianity” where our churches’ main focus is making sure people have a satisfying “experience” on Sunday mornings. It’s time to stop preaching the Gospel, helping people convert, and then letting them fall through the cracks of the mega church machine, never to be heard from again. Believers, it’s time to stop being content learning more Bible but not doing anything with that knowledge. We are fooling ourselves if we think we’re living the Great Commission but we’re not 1) currently investing time and love into a relationship with an unbeliever in which we both model the Christian life for him and, when the Spirit leads, verbally share the Gospel with him, 2) walking a younger believer through his next steps in growing in his relationship with Christ, and 3) helping more mature believers take that final step of obedience by equipping and encouraging them to reach out to the lost, share the Gospel, teach and model the scriptures to younger believers, and help equip them to duplicate the process in someone else. In short, we’re fooling ourselves if we think we are disciples but we aren’t making any disciples. In the words of Michael Jackson, it’s time to make that change. If you’re interested, I recommend reading DiscipleShift for a more detailed explanation of what I’ve summarized. If you’re super interested, I recommend reading Disciple Making Is… next. If you’re still interested and/or refuse to read books, shoot me an email below and I’ll send you a short paper or two on the subject. And, lastly, if you’re local to me and want to be a part of making a change in how we do discipleship in our area, let’s chat. Every year about this time, at summer’s end, prepping for another school year, another year of ministry, I question my “purpose” and my “calling”. Truth be told, I hate those words. Mostly because I struggle to pinpoint what my purpose and calling are. God hasn’t given me the blue print to my life, so I frequently wonder what He’s up to. The Bible teaches all believers are “called” to certain things – He called us to salvation (2 Thessalonians 2:13-14; 1 Peter 2:9); He calls us to peace (1 Corinthians 7:15); He calls us to have hope in Jesus (Ephesians 1:16-20; 1 Peter 5:10); He calls us to go and make disciples (Matthew 28:19-20); He calls us to love Him and one another (Matthew 22:36-39); He calls us to use our gifts to build up the church (Romans 12:4-8). These are “general” callings. God doesn’t have to speak them directly to each one of us for us to know they are for each one of us. He wrote them in the Bible to save Himself some time. He’s smart like that. But what about “specific” callings? Like God calling Abraham to leave for a new land (Genesis 12:1-4)? Or God hand-picking David to be Israel’s king (1 Samuel 16:10-13)? Or God calling Jonah to go to Nineveh (Jonah 1:2)? These callings aren’t for all believers; they were specific callings for individuals in history. By virtue of the fact that I am married, I am called to be a (good) wife. Similarly, because I possess children, I am called to be a (good) mother. If I consider my gifts of teaching and prophecy (commitment to the truth, not foretelling the future), I am called to use those somehow some way for the edification of the Church. In a way, that’s specific, but, on the other hand, a lot of details on how to use those gifts are lacking. Does the how even matter? Will God be happy with me using my gifts in any number of ways as long as it is done for His glory (Colossians 3:23)? I don’t know the answers to these questions. And sometimes that fact trips me up. I want to know which Bible courses He wants me to teach, what plans He has for this blog, if He wants me to take a staff position at my church, if He wants me to invest some time in developing a speaking career, if He wants me to go get a Masters of Divinity, if He wants me to write a book, etc., etc., etc. Sometimes I get so caught up in what I don’t know, I am tempted to not do anything. But what Satan fails to mention is that if I do nothing, I won’t be obeying the general calls on my life. Problem. The LORD will fulfill his purpose for me… I don’t have to work it out; He will. The Lord will fulfill HIS purpose for me… I don’t have to create my own purpose; He already has one in mind for me. The Lord will fulfill his purpose for ME… I don’t have to wonder if He has a specific call on my life; He does. The Lord WILL fulfill his purpose for me…. Whether I know what that purpose is, whether I cooperate with Him or rebel against Him, whether I feel inadequate or my weaknesses seem to get in the way, God WILL have His way with and through me. This is great news. Namely, I can’t screw up God’s purpose for me! No matter what path I choose, He won’t let me walk down it unless it contributes to His purpose for me. What, Exactly, is His Grace Sufficient For? God wants more for us than we want for ourselves. Which is awesome and terrifying all at the same time. Our hearts are so broken and bent toward sin that if someone were to ask us what we want in life, our list would be pretty self-centered. My list contains things like happiness, fulfillment, healthy family and friends. I want to grow old with my first husband, and I want my kids to thrive. These things might seem benign on the surface, but I know the real motives underneath – I want to avoid pain and maximize pleasure. But God wants more for us than a good time. He wants us to live lives that matter. Comfy, cozy lives don’t accomplish much. Self-preservation seems right, and it is natural, but it misses the heart of God (Proverbs 16:25). We’re all here for 2 reasons: to know God and to make Him known (Exodus 9:15-16). But our pursuit of pain-free living often prevents us from knowing God (and, thus, making Him known). Because we find things that feel good and provide comfort, and we latch on to them for dear life, refusing to let them go. We are born doing this. As newborns, we literally latch on to our mother’s, for nourishment, yes, but any mother can tell you, her baby hangs around well past meal time, suckling solely for the comfort. As we grow, this pattern of behavior continues, it just manifests differently. When all our energy is focused on our comfort objects, we don’t have much time (or room in our hearts) to draw nearer to God. Problem. But draw nearer we must. It’s the only way we can be fulfilled for any length of time, and it’s the only way we can fulfill our life purposes – to know Him and make Him known. So God, lovingly, gently, and Fatherly-y (like a Father? ), beckons us to find our comfort in Him. Naturally, that doesn’t typically go over well with us. Our entire lives have been spent seeking and holding on to comfort objects that weren’t Him. To put them into their proper places – lower places than the Lord – is foreign and scary and hard and scary. But He wants better for us than we want for ourselves. So He continues to encourage the process of loosening our grips on our chosen comforts that we might find our hands free to grab onto Him, the Ultimate Comfort. I have a feeling the sooner we I cooperate, the better it will be for all involved. Of course, the context is important. So bare with me while I rehash that for us. Corinth was a city of wealth, commerce, and depravity. Sexual immorality was rampant, with prostitution being part of idol worship. Apparently, the Corinthians had a hard time separating themselves from these cultural practices. Paul tried, somewhat in vain it seems, to encourage Corinthian believers to higher standards – godly standards. Second Corinthians was actually his third letter (at least) to the group, after several lengthy personal visits to try to steer the church in the ways of the Lord. To put it mildly, Paul was frustrated and desperately wanted these believers to desire to be the Church – those called out of the world and into the Kingdom. In chapters 10 and 11, Paul felt the need to answer a question the Corinthians seemed to be asking themselves – why should we listen to Paul? Paul acknowledged their grumbling, reporting his awareness that “…some say, ‘His letters are weighty and forceful, but in person he is unimpressive and his speaking amounts to nothing,'” (2 Corinthians 10:10). The Corinthians were feeling a bit rebellious, and they weren’t afraid to say it… when Paul wasn’t around. Paul did his best to respond calmly the rest of chapter 10 and the first half of chapter 11, but he eventually decided sarcasm and mockery were the way to go. (Have I mentioned I love him?) He was infuriated the Corinthians were choosing to elevate false apostles’ teaching above the true Gospel he had introduced to them (2 Corinthians 11:5-6). While defending himself, though, he didn’t want to give the impression the Corinthians should listen to him because there was something special about him. It was important they realized it was not Paul he wanted them to submit to but Christ in Paul. Paul told the story about his infamous thorn to illustrate his humanity and frailty and to emphasize only the existence of an all-powerful God could explain how a man with such a restrictive condition could be so successful. Within this context, Paul recounted how he asked God to take away his thorn three times (2 Corinthians 12:8). And God had responded this way, “My grace is sufficient for you, for my power is made perfect in weakness,” (2 Corinthians 12:9). The first part of the sentence intrigues me. “My grace is sufficient for you.” What does that even mean? We Christians are quick to quote it to someone in need, but have we really nailed down what’s going on here? I haven’t. What, exactly, is God’s grace sufficient for? If you’re paying attention, you’re realizing I discovered absolutely nothing new. So I took it apart in the English and came up with this. Grace can mean favor, approval, or blessing, typically unmerited. Enough means occurring in such a quantity as to fully meet a need. So God’s favor and blessing will fully meet our need. The question is begged, our need for what? Some needs? All needs? Specific needs? Before we can transfer the idea to ourselves, we need to get back in Paul’s shoes to understand the original intent of the Lord. In the most immediate context, he had a thorn of some sort causing him some agony. God likely would have been intending to communicate His favor was enough to get Paul through that agony. God’s blessing was enough for Paul to live for a lengthy amount of time in spite of whatever physical, spiritual, or emotional pain he was experiencing. Zoom out a smidge, and the wider context is that Paul was defending his credibility as an apostle to the Corinthians. In the midst of their doubting his authority to speak on God’s behalf, God tells Paul, “My approval is enough.” The power behind Paul’s ministry resided in God’s approval and favor, not the Corinthians. Nothing else was needed. Even without the Corinthians’ okay, God’s approval was enough for Him to accomplish whatever He willed through Paul. I’d also like to think the Father-heart of God wanted to remind Paul that He loved Paul. He wanted Paul to feel confident of that love and to find his identity in that love, no matter what others were saying about him. God approved of Paul, even if others didn’t, and knowing that should have fully met Paul’s need to feel secure and valued. Step back even farther, and we realize Paul had a nearly impossible task – to take the Gospel to the Jews first, and then to the Gentiles also (Acts 13:46). The Jews thought of Paul as a traitor preaching sacrilege and would’ve rather killed him than listen to him try to convince them Jesus was the Messiah they’d been waiting on (Acts 9, 13). The Gentiles didn’t know what to do with Paul. Some were scared of him (Acts 9), some tried to worship him (Acts 14:11), some stoned him (Acts 14:19), some believed his message (Acts 14:20), and some, like the Corinthians, believed Paul initially but got angry when he held them accountable. So when God told Paul, “My grace is sufficient for you,” the widest application implies God’s favor was all Paul needed to successfully fulfill his life’s calling to take the Gospel to the Gentiles (Acts 9:15, Eph 3:8). Back to the original question. For today’s believer, what is God’s grace sufficient for? 1) To survive pain. God’s blessing is enough for us to make it through any kind of physical, spiritual, or emotional pain, no matter how long that pain exists. God’s grace – His favor – is enough, all by itself, to sustain us until He determines that pain should end. 2) To empower us for ministry. God’s Kingdom purposes are accomplished by His endorsement alone, not human approval, ability, or ambition. We all have a ministry, and His grace – His blessing and approval – is enough, all by itself, to make our ministries flourish. 3) To establish our security. We all wonder, to varying degrees, if we are loved, valued, appreciated, accepted, approved of, desired, etc. Too often we look to others to affirm our worth. God’s grace – His approval – is enough, all by itself, to solidify our true worth. 4) To fulfill our life callings. We’re all here for 2 reasons: to know God and to make Him known (Exodus 9:15-16). How we make Him known, and to whom, may vary, but, ultimately, we’re all called to the same thing. And the calling is not for the feint of heart. But, God’s grace – His favor and blessing and approval – is enough, all by itself, to empower us to do what we’re supposed to be doing. So I guess to put it succinctly (1100+ words later), God’s grace is sufficient for everything. In Luke 5:17-26, Luke recounts the time Jesus miraculously heals a paralytic. At the time Jesus’ popularity was swelling. All kinds of people wanted to be around him for many different reasons. Some wanted Him to provide miracles in their lives. Some were intrigued by His mysterious teachings and healings. Some wanted to follow Him all the time because they knew He was God. Others were offended by Him but stuck close by looking for an opportunity to outwit Him and/or condemn Him as a blasphemer of Jewish law. In Luke 5:17-19, Jesus is in a house teaching, and people of each group listed above literally pack out the house. It is crowded with people hanging on every word that comes out of Jesus’ mouth. However, a quick perusal of commentaries told me I am the only one, in fact, who finds this statement curious. It seems to me this verse implies Jesus “needs” the power of “the Lord” in order to heal the sick. Typically, the Greek word for Lord used here refers to Jesus. But that doesn’t make sense in the sentence as we English-speakers have constructed it. Assuming we didn’t screw up the meaning of the verse by translating it oddly, “the Lord”, then, must be a reference to God in general. We could chase a bunch of rabbit trails here (actually, I’m already doing that…), but I think this verse is interesting because it shows Jesus’ relationship with and interdependence on God the Father and/or God the Holy Spirit. Just as we are empowered by the Holy Spirit to do things at times (Acts 1:8, Galatians 5, Romans 8), so was Jesus, at least while He was here on earth. Another discussion for another time. ANYWAY, the actual point of this post: while Jesus was teaching, some friends of a paralyzed man “tried to take him into the house to lay him before Jesus,” (Luke 5:18). What great lengths these men went to in order to give their friend the opportunity to be healed! What gets me is how the friends’ faith played a crucial role in the paralyzed man’s healing. They persistently and creatively pursued Jesus on the man’s behalf. They believed Jesus could physically heal the man, and, as his BFFs, they were determined to give their buddy an opportunity for Jesus to do just that. They were not swayed by the obstacles they encountered along the way. They were going to get their friend to Jesus no matter what it took. As I read this story, I first thought about times in my life my friends did whatever they had to do to get me to Jesus. How I even became a Christian in the first place is a direct result of persistent, faithful friends. But even after I became a Christian, there were hard times during which faithful friends kept pointing me to Jesus and petitioning Him on my behalf. They had faith that He could heal me emotionally and did whatever it took to give me the opportunity to be healed by Him. In some cases I think I’m doing all right. But in others I could be doing a lot more. And I bet you “score” about the same. And then, after we do some good thinking, we need to actually do the things we thought of. There’s a slightly crazy story in the Bible that speaks to the slightly crazy in my life, even though some of the details are a bit different. God chose this nothing-special-about-him man to be the patriarch through which God would grow His people and, eventually, through which He would birth Christ to save the world. So God lets Abraham in on this plan when he was 75 years young. He and his wife, Sarah, had no children, but when God made this promise to him, “Abraham believed the Lord,” (Genesis 15:6). Days gave way to months, and months gave way to years, and Sarah didn’t conceive. Slowly, their confidence in the Lord’s promise began to waver. Nobody was getting any younger, and, finally, they cracked. Eight years later and still childless, probably fairly depressed and in need of a good marriage counselor, Sarah came up with a brilliant plan to “help” God make good on His word. She convinced Abraham to sleep with her servant, and, sure enough, the servant bore Abraham a son, Ishmael, at the ripe old age of 86. Patting themselves on the back, Abraham and Sarah looked forward excitedly to God extending their family line through Ishmael, making the Abrahams into a great nation, blessing them, and giving them a beautiful land to live in under God’s protection with everything they could ever want. More literally, God said to Abraham, “I will bless [Sarah] and will surely give you a son by her…she will be the mother of nations; kings of peoples will come from her,” (Genesis 17:15-16). Hold up just a minute there, Abe. Aren’t you the same dude who had his first son at age 86? What really is even the difference? You were old then, and you’re old now. GOD HAS DONE THIS FOR YOU BEFORE. And you’re going to doubt Him now? Yeah, he is. Just like we do. Honestly, it had been 13 years since Ishmael was born – 13 years since God had done the improbable in Abraham’s life. That was plenty of time for Abraham to lose the awe over that situation…or to rationalize it away. Instead of learning from that experience and trusting God anew, Abraham says to God, “If only Ishmael might live under your blessing!” (Genesis 17:18). Abraham is bargaining with God! He’s trying to help God out again… “No, no, God. Making my super old and, up until now, totally barren wife pregnant would be way too much effort. Just use the boy I already have to carry out your grand plan of redemption!” When you think about it, that’s pretty kind of Abraham to look out for God like that… he was just trying to spare the Almighty the stress of having to figure out a way to make a woman who shouldn’t be able to get pregnant conceive. Now, if I were God, my patience with this Abraham guy would be all but over. Yes, he has had faith at times, but, by and large, he has mucked things up over and over, taken matters into his own hands, and thinks he knows better than Me the majority of the time. I’d be ready to exercise my holy judgment right about now. But God doesn’t do that. “Then God said, ‘Yes, but your wife Sarah will bear you a son, and you will call him Isaac. I will establish my covenant with him as an everlasting covenant for his descendants after him. And as for Ishmael, I have heard you: I will surely bless him; I will make him fruitful and will greatly increase his numbers,'” (Genesis 17:19-20). Do you see what God did there? He answered Abraham’s prayer for Ishmael. So what can we learn from this story? It’s okay to “help” God keep His promises, and He may even doubly bless you for doing so? That’s probably not the takeaway. I think the morals of the story are more along the lines of a) God can be trusted, b) He doesn’t need our suggestions, c) He shows us more grace and mercy than we deserve when we don’t trust Him, d) He is okay with us telling Him what’s really on our minds, e) He makes wrong choices work out for our good, but not without allowing the natural consequences to break our hearts, and f) nothing is too hard for God. If I’m honest, I’m a little too much like Abraham. I have faith at times, but, mostly, I doubt God’s power and trustworthiness. I doubt God’s intelligence and try to “help” Him by suggesting ways He should work my life out for me. I forget God’s track record of provision and follow through in my life and in the lives of others. And, like, Abraham, I need to stop distrusting and start waiting patiently for the Lord to unfold His perfect plan. One thing I love about Paul is his ridiculously eloquent and powerful prayers. Every opening and every closing and, usually, somewhere in the body of each letter, Paul tells whoever he is writing to that he is praying for them. But he doesn’t just say, “Hey – I’m praying for you, brother,” and then totally forget to pray for that guy. No, Paul tells each recipient what he is praying for them and why. And, even more awe-inspiring, Paul’s prayers are always Kingdom-focused. He doesn’t tell people, “I’m praying for your sick grandma to feel better,” even though I am sure he would be concerned about Mee Maw. He doesn’t tell them, “I’m praying the Grizzlies win Sunday night,” because a) he already knows they will, and b) as much as Americans hate to admit it, the NBA playoffs are not important in the scheme of things. No, Paul prays prayers that are focused on God’s ultimate purposes for His Church. One such prayer hangs out in 2 Thessalonians 1:11-12. Verse 11 tells what Paul is praying for the believers in Thessalonica, and verse 12 tells why he is praying to that end (and, if you care to get technical, the last clause of verse 12 tells how the why will be accomplished). 11 With this in mind, we constantly pray for you, that our God may make you worthy of his calling, and that by his power he may bring to fruition your every desire for goodness and your every deed prompted by faith. 12 We pray this so that the name of our Lord Jesus may be glorified in you, and you in him, according to the grace of our God and the Lord Jesus Christ. When was the last time I prayed like that? And then told someone I prayed like that for them? The point is, if we want to learn how to pray better, we should spend a little time pondering Paul’s prayers and his communication to others about his praying for them. I know it’s probably politically incorrect to say some prayers are “better” than others, but I’m okay with that. Some prayers are better than others… I’m sorry if that hurts your feelings… God loves to hear from us, but when we pray boring, rote prayers that our hearts aren’t in, I don’t think He gets real excited. I myself have been praying prayers like that with my children lately, and I’ve had about all I can take of that nonsense. But when we pour our hearts into meaningful and biblical conversation with Him, I think He can hardly contain His joy. Some prayers are just better than others. Let’s resolve to pray better. The other day I was reading in 2 Timothy, and a beautifully unique phrase jumped out at me. Paul says to Timothy, “You then, my son, be strong in the grace that is in Christ Jesus,” (2 Timothy 2:1). I wondered, what does it mean to be “strong in the grace that is in Christ”? I liked the sound of it… but what does it mean? I backed up a paragraph in the text to see what was going on right before Paul wrote this. He was singing the praises of a man named Onesiphorus because he was the only one in Asia who hadn’t deserted Paul. Instead, this guy helped Paul, and Paul was grateful. Paul follows that report with our verse, “You then, my son, be strong in the grace that is in Christ Jesus.” The word “then” suggests our verse is connected with Onesiphorus’ story. What’s the correlation? Perhaps Paul wants Timothy to consider Onesiphorus as a model for what it means to be strong in the grace that is in Christ. If that’s the case, Onesiphorus shows that strength by “refreshing” Paul (serving him in love), by not being ashamed of Paul’s being in prison (being willing to love Paul even in the face of social stigma and possible persecution), and by helping Paul in “many ways” in Ephesus (2 Timothy 1:15-18). I began to wonder how other translations of our verse read. A couple caught my eye. Unlike the NIV (1984) translation I read initially, both of these translations more clearly communicate the intended meaning of the verse: believers are to be strengthened or made strong by Jesus’ grace given to them. We should derive our strength for the hard road that is living a fruitful Christian life from the grace of Jesus. Another verse in 2 Timothy speaks to this idea, “…for God gave us a spirit not of fear but of power and love and self-control,” (2 Timothy 1:7). Our spirit of power literally comes from God. Like Onesiphorus, we are to lean on God’s grace to strengthen us for the tasks He has for us. In another Pauline letter, we find a similar verse, “Be strong in the Lord, and in the power of his might,” (Ephesians 6:10). We don’t have to conjure up our own strength, and we aren’t commanded to be strong in our own power. Our strength for whatever we do must come from God or we aren’t going to be able to do it for long. And as our original verse suggests, the strength we get from the Lord is given to us by grace alone. We aren’t deserving of it. We can’t manipulate it out of Him. It is only by the grace of Jesus that the Lord is willing to strengthen us. In whatever God is calling you, my friend, to do today, be strong in the grace that is in Christ Jesus. Before I became a Christian, I realized something pretty quickly about the teenagers in my public high school who believed in God: they had no idea why they believed what they believed. They couldn’t give me much of a reason to trust their belief system over mine. As an atheist I was skeptical at best and antagonistic at worst of any belief in a God I could not see nor “prove”, properly. I had no more reason to base my spiritual beliefs on the Bible than on The Catcher in the Rye (which spoke to me on so many levels). And the kids I “debated” religion with in school couldn’t give me a reason to trust the Bible. The “best” case I got for believing in God from my classmates was, “Just believe in God just in case!” That guy no longer identifies himself as a Christian. Well, as He is wont to do, God got a hold of me anyway. I became a Christian at 16 in part because of the incredible love a certain group of students showed me despite my not fitting into the southern kid box, and in part because of the Lord arranging circumstances to show me beyond a shadow of a doubt that I could not do life without Him. Combine my experience with the unarmed Christian kids who could not communicate a reason for why they subscribed to a belief in Christ with my personality, and once I gave in and admitted that God was God (plagiarized from C.S. Lewis), I vowed to know why I believed what I believed. I began devouring the Bible, asking questions about nearly every verse, dissecting doctrines with people who were highly intelligent and who knew how “to give an answer to everyone who asks [them] to give the reason for the hope that [they] have, ” (1 Peter 3:5). This whole concept of defending your beliefs is called apologetics. Seminaries offer courses on apologetics, there are countless books written about apologetics, and people make careers out of being apologists. All those are great things. I’ve grown in my ability to defend the faith through each of those avenues. They have been invaluable to me, and if you haven’t explored them, I invite you to. But can I tell you the best apologetical training I’ve had? Can I suggest adults are the same way? When we talk to young children (2-10 yrs old), we are forced to answer the question, “Why do we believe what we believe,” and we are challenged to deconstruct churchy terms into words everyone can understand. And that’s what church people need too. And that’s what unbelieving adults need too. If you want to develop your apologetical muscle, find a kid and explain their need for Jesus to them. You’ll have to do it in words with no more than 2 syllables, and you’ll have to do it in a way that doesn’t scare the hell out of them (literally), which, by the way, ought to be our approach with adults too – hellfire and brimstone tactics should not be our approach with anybody. Ever. For any reason. There are some great perks of practicing sharing the Gospel with kids. First of all, they have a natural disposition to believe. They don’t have hard, skeptical hearts because they haven’t experienced all the hurt the world has to offer yet. So they are fully open to what you have to say. Give them a halfway decent explanation, and they will accept it. It doesn’t have to be perfect. I’ve fumbled through many a conversations with my girls between ages 2 and 7, and they are okay with that. You are learning, and so are they. Secondly, whatever you say won’t change how they feel about you. We are hesitant to talk Jesus with adults because we fear rejection. Kids don’t know the meaning of the word. Even if they think you are pretty well out of your mind, they’ll drop the topic as soon as you’re done talking and ask you to go play outside with them. You’re still their friend. Nothing changes that. Some of the sweetest times for me talking to my daughters about faith have gone something like this: I speak some profound truth of Christianity, my daughter responds, “Huh. That’s funny. Want to play Candy Land?” This is NOT a parenting fail. This is evidence of her full acceptance of me even when she doesn’t understand anything I’ve just said. This is a reflection of God’s unconditional love for me through my little girl. I’ll take it. Thirdly, and most importantly, they might receive Christ! And even if they don’t, their little minds will continue to think on the things you’ve said, and they will bring the topic back up if they think of a question… even years down the road. Our daughters both prayed to receive Christ when they were 2 years old. I was with them, and I believe as fully as they could understand at that age, they understood what they were doing. We’ve continued to explain the Gospel to them in the years since, and last night my seven year old asked, “Mommy, have I asked Jesus into my heart?” She had continued to ponder what that means, and she was bothered that she didn’t remember doing that at age two. So we talked it through, and she prayed again. They remember things, these little people. They mull them over and bring them back up when you least expect it. So our “practicing” sharing Christ with them is more than just a convenient training ground for us – it’s much more. It’s “planting seeds” in their hearts for the Lord to grow. Sharing our faith with children grows us just as much as it grows them. Give it a whirl, and let me know how it goes.